Summer is nearly here in beautiful regional Victoria, which means that the time for Cave Hill Creek’s Summer Camp is just around the corner! At Cave Hill Creek, we have been successfully running camps at our accredited family owned and operated facility in Beaufort for nearly 30 years with popularity increasing every year amongst Victorian families. So if you’re unsure of what our summer camp program offers kids, or if you’d simply like to learn a little more about our program, read on! What makes up our summer camps? With a heavy emphasis of getting your kids out of the house, away from the television and other gadgets, and into the great Australian outdoors! As opposed to American summer camps, which can go for as long as several months, our summer camp program here at Cave Hill Creek only lasts for a matter of days, 4 nights & 5 days to be exact- giving you the perfect amount of time to relax, and giving your kids a great time away, having fun and making lasting friendships! Summer Camp at Cave Hill Creek includes a variety of exciting and different outdoor activities designed to make the kids forget completely about their mobile phones, gaming consoles and other tech, and get them immersed in the magnificent landscape of Cave Hill Creek. 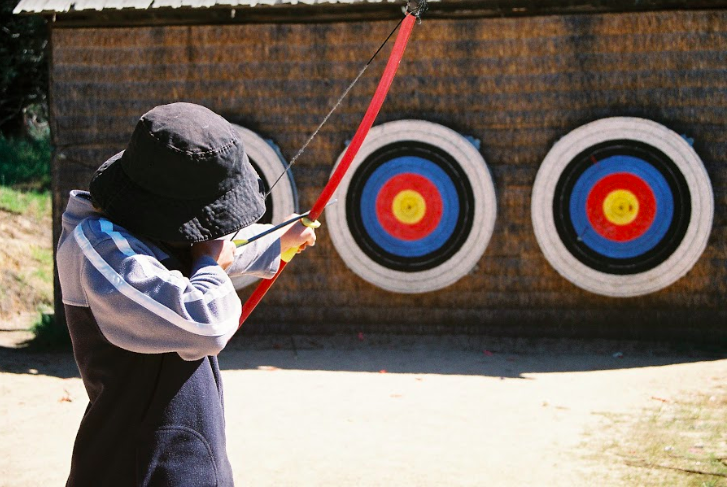 Activities such as archery, bushwalking, abseiling, orienteering, mountain biking, as well as a wide range of other team building and survival tasks to keep them entertained, all the while learning valuable skills. Tim and Ange Chandler are the 2nd generation custodians of the Cave Hill Creek grounds, running camps for more than a decade! Summer Camp is tech-free; we get your kids off the couch, have fun and activate their minds and bodies over the school break. With over 30 years’ experience running fun and safe camps, we ensure your child is supported and cared for whilst under our supervision. All staff have valid working-with-children checks. We foster an inclusive, friendly and safe camp community. The food is healthy and nutritious (all dietary requirements welcome), and all set in our amazing location, home to kangaroos, wallabies, echidnas and platypus, at the foot of Mt Cole – only 2 hours from Melbourne, near Ballarat in regional Victoria, Australia. 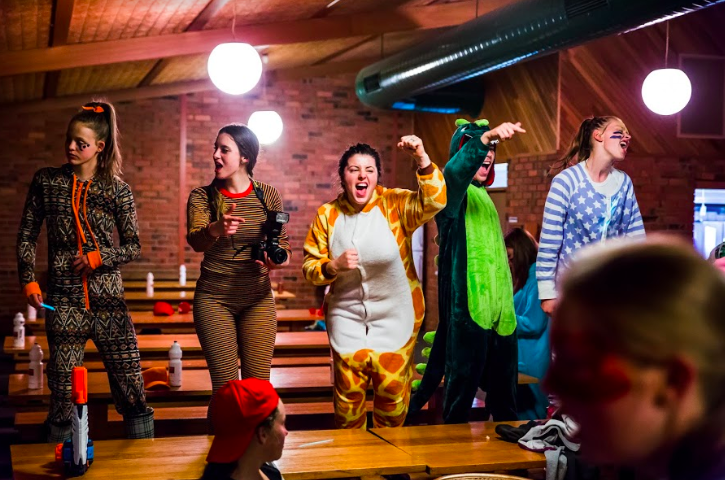 2019 pricing: $649 per person, including a camp t-shirt and a souvenir camp booklet. If booking for more than one person, a discount will apply to bring the price down to $599 per person. Get in touch with the team at Cave Hill Creek to register your child for our 2019 Summer Camp program today!